In Macau, the world’s biggest gambling hub, few family business dynasties are as powerful as the clan led by patriarch Stanley Ho. Or as complex: The tycoon, 97, has fathered 17 children with four women he calls his wives. Now, one branch of that sprawling family is consolidating control just as its SJM Holdings Ltd. prepares to rebid for its casino license and faces a serious challenge from Las Vegas rivals, who’ve built glitzier resorts in Macau. Ho’s rise in the gaming enclave is one of the more dramatic stories in Chinese business. He built the Chinese city’s first casino in 1962, and became a billionaire from his 40-year monopoly there. Over the decades, Ho family drama has been rife with plot twists that have made running SJM — and planning succession — a tricky business. In recent weeks, the children from wife No. 2, Lucina Laam, forged an alliance with another group of shareholders — Hong Kong’s influential Fok family — to gain voting control of the board. Now the concentration of power in a single branch of the family, backed by the heft of another Chinese empire, could boost business as they seek permission to keep operating in Macau’s $38 billion a year gaming industry. The stakes are high: SJM is one of Asia’s oldest gambling businesses and it still controls the largest number of casinos in Macau. “The shareholders in the alliance all possess irreplaceable goodwill, accumulated through prolonged understanding and exposure in various industry sectors in Macau and mainland China,” Daisy Ho, SJM’s chairman and one of Laam’s daughters, said in her first interview since the pact was announced on Jan. 23. Members of the alliance have interests in retail, hospitality, conferences and travel services, she said. “Together with Timothy Fok, who is co-chairman of SJM, we can leverage and apply these resources to further develop SJM’s competitiveness to pursue the new gaming concession.” SJM's stock traded 2.4 percent higher at 9:54 a.m. in Hong Kong trading, while the benchmark Hang Seng Index was down 0.05 percent. In the 1960s, Stanley was a Hong Kong entrepreneur with a reputation as a charismatic power broker. He and a group of businessmen won the first license to set up a casino in Macau, a ferry ride from Hong Kong. Among his partners was Henry Fok, Timothy’s father. The city was still a Portuguese colony, and prostitution and gang wars were common on the streets. But as the Chinese economy opened up and its population grew wealthier, gamblers playing for high stakes came pouring in. The Ho empire controlled Macau’s economy almost completely for decades, and its founding families went on to gain tremendous clout. Stanley became one of Hong Kong’s richest men. When Henry Fok died in 2006, China’s official Xinhua News Agency called him “a close friend of the Communist Party." Timothy, 73, has been a member of the Chinese People’s Political Consultative Conference, an advisory body in China. Macau’s market opened in 2002, soon after the city was handed back to China after more than 400 years of Portuguese rule. Licenses — called concessions — were given out by the local government. Of the six big companies operating there, SJM and MGM China Holdings Ltd.’s concessions expire in March 2020. Those of Sands China Ltd., Wynn Macau Ltd., Galaxy Entertainment Group Ltd., and Melco Resorts & Entertainment Ltd. run out in June 2022. The new entrants built palatial resorts, offering entertainment shows and gourmet food. In recent years, they’ve focused on Cotai, a patch of reclaimed land between two nearby islands which has since become Macau’s version of the Las Vegas strip. With no Cotai properties, SJM lost customers. It now has only a 14 percent share of the market, no longer even among the top three, according to Bloomberg Intelligence data. Analysts say the new alliance will help SJM’s business prospects, and that will likely help the company regain a license after expiration. 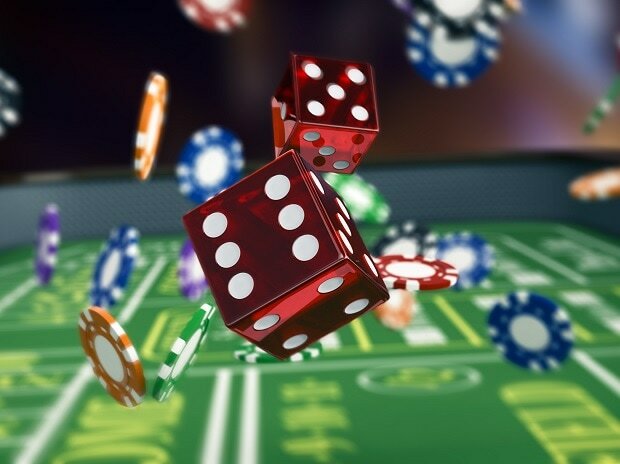 “The reintegration of the alliance’s resources with SJM will reinvigorate the gaming operator with the gravity it needs to move the needle on non-gaming investments, and will undoubtedly assist it in gaining a new concession,” said Ben Lee, a Macau-based managing partner at Asian gaming consultancy IGamiX. Some are less certain, however, that Ho’s children can return his empire to its glory days. “I have questions about the extent to which the successors are able to maintain the social and political connections their father had as that’s the bread and butter of the gaming business,” said Joseph Fan, a professor at The Chinese University of Hong Kong. The alliance now jointly controls 53 percent of STDM, according to the exchange filing. STDM, in turn, holds about 54 percent of SJM. Optimism about the alliance has driven SJM’s stock up about 18 percent this year. Yet, questions continue to linger, particularly around the role of Angela Leong, the fourth wife. A former dance instructor and a billionaire through vast real-estate holdings, according to the Bloomberg Billionaires Index, Leong is also a co-chairman on SJM’s board. She also holds powerful positions, including as a Macau legislator. So far the family hasn’t publicly commented on what role she will play in the company the coming years, and Leong didn’t respond to requests for comment. Ultimately, the power of the Stanley Ho legacy may lie in the influence his family has in Macau, even beyond SJM. Daughter Pansy holds a 22.5 percent stake in MGM China, the Macau subsidiary of MGM Resorts. Lawrence Ho, a son from wife No. 2., is chief executive officer of Melco. Daisy said she will continue to chair SJM, while Pansy will focus on MGM and Lawrence will focus on Melco. Pansy didn’t respond to a request for comment. Lawrence said that while he is a very small indirect investor in SJM through the family trust, he has no involvement in SJM’s operations and no interest in its business.